I liked the Whole Wheat Walnut Bread I got back in July from Acme Bread Company in Berkeley so much that I decided to try to duplicate it. 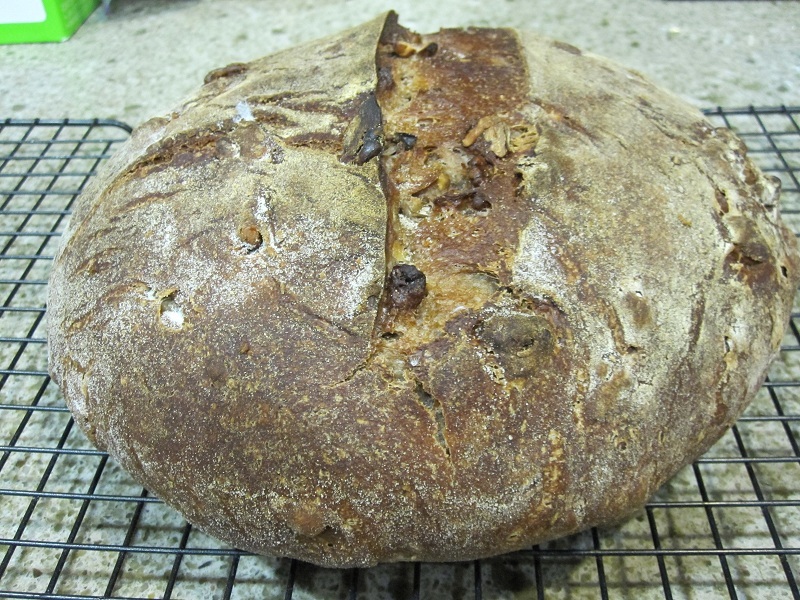 I posted photos of the Acme walnut loaf previously in my description of my July bread pilgrimage. I found a description of the bread and it's ingredients on acme's website: http://www.acmebread.com/bread/whole_wheat. After a first attempt was so dry the loaf cracked up the middle I concluded the walnuts soak up a lot of water. Soaking them in advance in hot water and draining them in a collander before adding to the dough seems to overcome that. 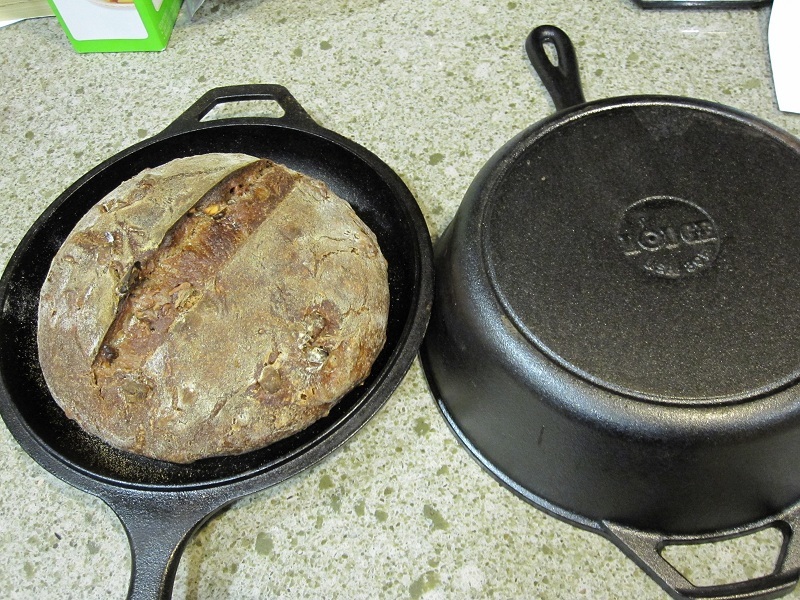 I mixed the dough in a stand mixer, let stand until it rose, and baked it in a dutch oven, about 25 minutes at 450F, with the cover off in the last minutes for browning.. It came out pretty good, maybe not the equal of the Acme loaf but very tasty with butter or cheese! I have been a long time reader and have learnt so much from various bloggers/posters and now I think its time I joined in. Thank you Debra Wink, proth5, TX farmer, DMSnyder, Ananda and Hans Joakim for your inspiring and educational posts. A month ago my new Komo Fidibus XL turned up and I have graduated form being a home baker to a home miller/baker. I love it.....I mean I really love it! I usually bake once a week (used to be alot more...I am relaxing into it now) I have a "desem" style starter that lives in my fridge @ 60% hydration which gets expanded twice in a cool spot under the house before use...its happy. 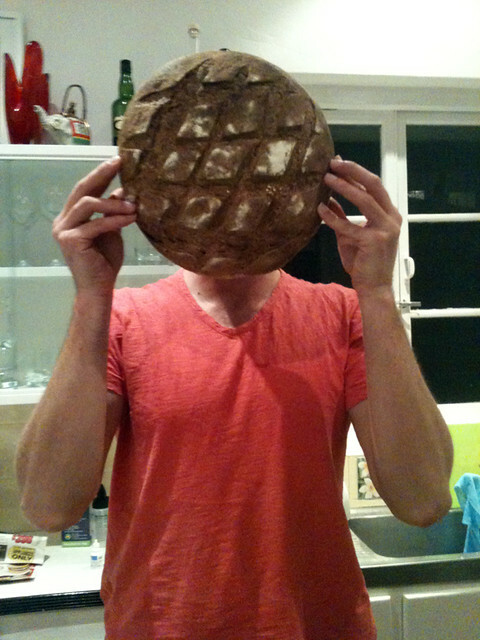 I used to be a neurotic culture carer...my current method works and gives us beautiful bread. Yesterday was a biggish bake....family coming on the weekend and lots of kids staying for a week....they will want to be fed. I love using the fresh flour. I have sourced my grains from two organic millers in Australia (one of them is biodynamic). Kialla is a organic miller just a few hours away who's flour I have used for a few years now. I use there grains for the majority of the doughs (It is strong and thirsty). 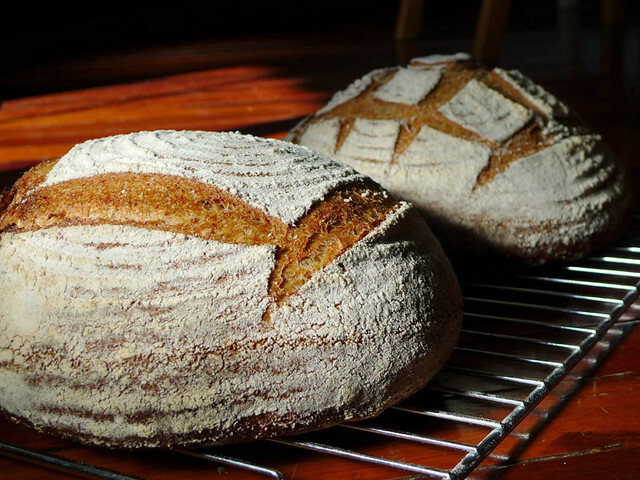 I build/feed the levain with grain from Four Leaf biodynamic mills in South Australia. I have found there flour softer but more flavoursome. Have not cut the miche....giving it a day or so until the family arrives....should be just about right then I reckon. Well that's it for my first post. I'm looking into buying bulk flour, but haven't tried any of the brands that are available. So if you know anything about these flours, please tell me your experiences! From Heartland Mills I could get their standard whole wheat, or what appears to be a whole wheat hard blend. I'm also curious about their high gluten flour, and everyone seems to like Golden Buffalo. From Giusto's there's something that appears to be called whole wheat ultra performance. Any idea what's in this? 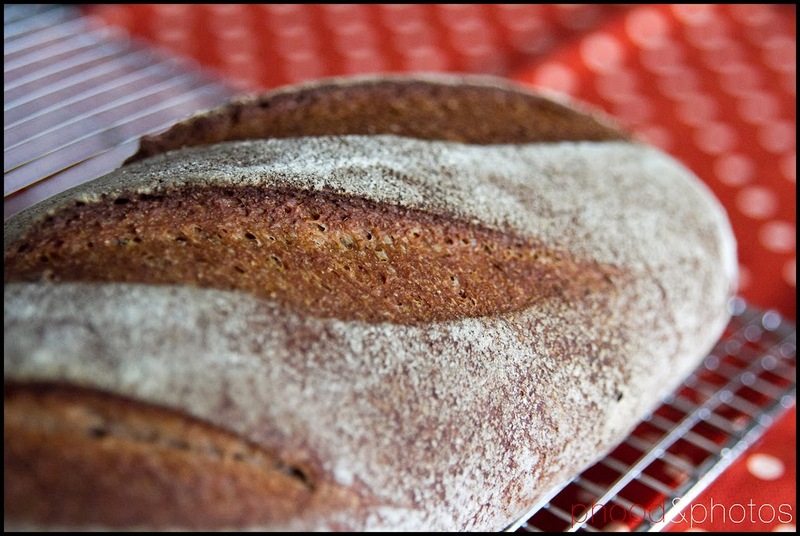 Read more about Opinions on Bulk Whole Wheat Flours? 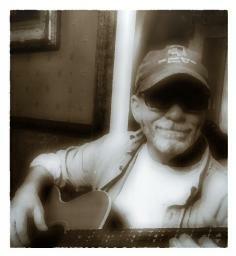 My Wife and I decided to reverse some of the effects than my good bread had on our waistline (nice bloom ...). The diet of choice for my wife is the "Scarsdale Meical Diet", carried out after a book she got in a charity shop years ago (British edition of the "Scarsdale Medical Diet" by Tarnower, 1985). This diet calls for "Protein Bread", which hasn't been available in the UK, so the editors provided a recipe. I baked this bread according to the recipe, and it turned out edible, but quite dense with a strong soy bean taste which didn't integrate well with the wheat flavour (in my opinion). My wife's remark: Not quite your standard. However, she was happy (only having 1 slice a day), but I wasn't. I researched the Internet and TFL about adding soya flour, and found that nobody recommends adding more than 10%. Hm. 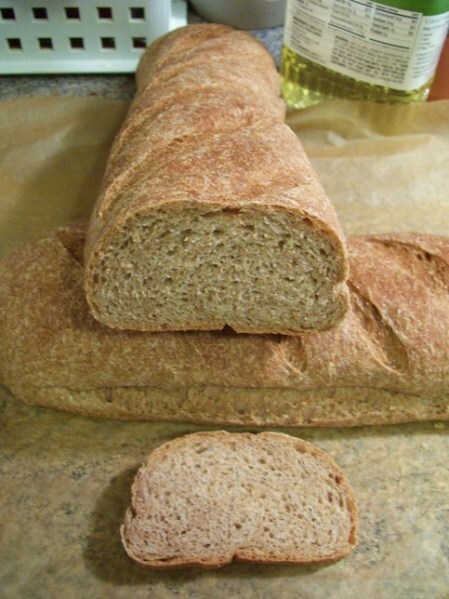 My second approach to "Protein Bread" (bread on the right in photo above) was using a wholewheat sourdough and a soaker, and not use sugar and vinegar, and I added more salt. I made the soaker from the remaining water and wheat and left it at ambient temperature for about 5 hours. The starter matured for about 14 hours at 28C. The dough had a nice feeling after I mixed soya flour, salt, soaker and starter, and id didn't need much development. During the 2 hour bulk proof I folded twice. The final proof in a basket took about 90 minutes. 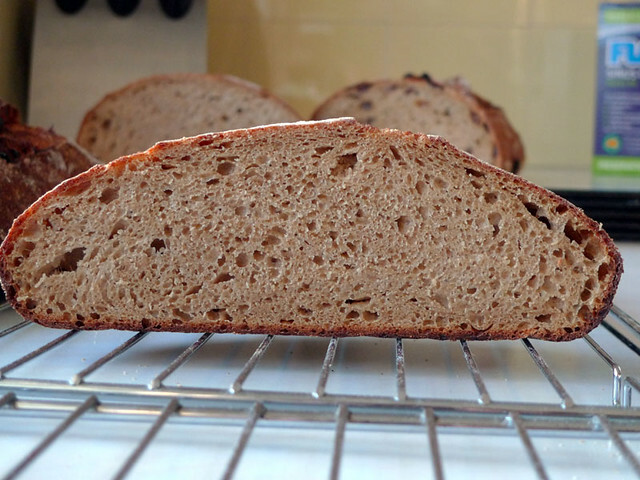 The result is very different from the yeasted loaf (I expected it to be): Not dense at all. And the wheat clearly dominated the taste in a nice way. Quite appealing, actually. This experience reminded me of the cartoon Yakitate Japan ( I saw only the first episode), where a baker explains to the young baker-hero that good bread is made with the topping in mind. Does anyone know where I could get Yakitate Japan DVDs in the UK? 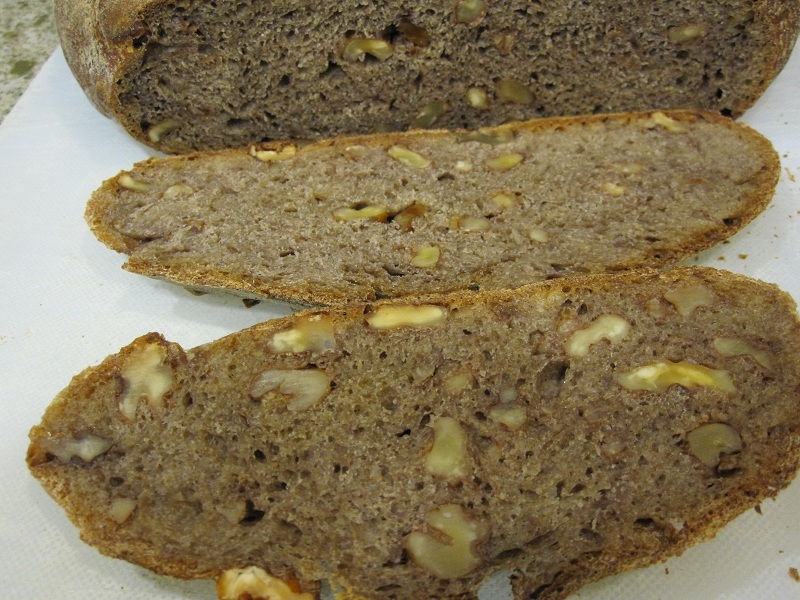 Organic Whole Wheat Bread with Walnuts and Raisins. This is a recipe by Hamelman (Bread a Baker's Book of Techniques and Recipes). I substituted pecans for walnuts and golden raisins for regular organic raisins. I made this for my children. 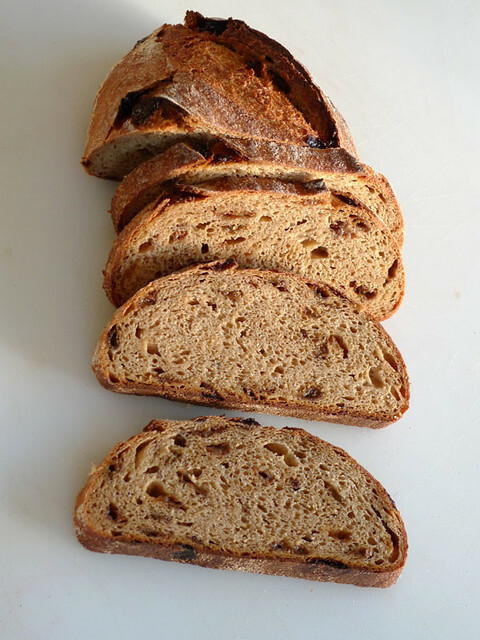 It is full of goodness, from whole wheat, walnuts, to raisins. They enjoy it for breakfast with organic butter and honey as I write this. :) I find myself more and more baking using recipes from this book. And so far love all the breads I tried. A moving friend left a couple of containers of almond milk at my house. A perusal of the web indicates that it can replace water in bread. I may still "hate whole wheat" (lol) but this will be pretty good for pesto chicken salad sandwiches for supper, eh? 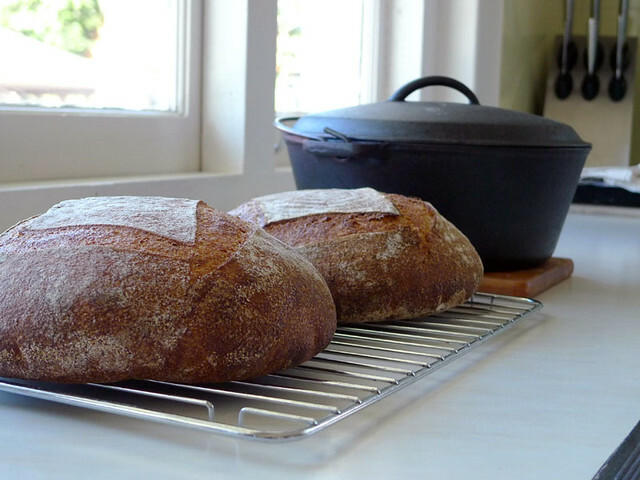 It has been hot here, and doesn't always seem like the right time to make bread, but this morning it was almost chilly, and before long the kitchen warmed up to 76degF. A perfect day for pain au levain. 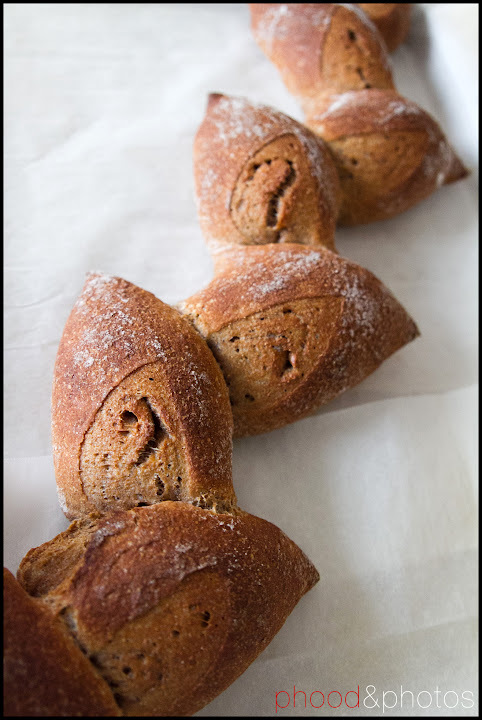 I recently rediscovered King Arthur White Wheat flour and decided that should have a role, as well as having gained a fondness for Arrowhead Mills stone ground whole wheat. Mixing flours always seems to bring out the best of both, so there's no need to choose. I went back to my teacher, Mr. Hamelman, and followed his procedures if not his formula. They are so straightforward and powerful. After banging my head against the yeast water wall, it was fun to step back and make a simple pain au levain. Hopefully next bake will be in my newly rebuilt wood fired oven, which is drying as we speak. Mix all but salt. Autolyze 1 hour. Add salt. Ferment for 3 hours with 2 S&F. Cut and preshape. Rest for 20 minutes. Shape and place in couche. Proof for just over an hour. Bake at 450F for 20 minutes with steam, 25 without.